Sir James Mancham's colorful life is chronicled in this autobiography. 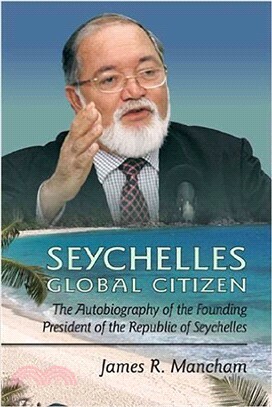 The first president of the Seychelles, Manchm is a respected world figure and worker for world peace. His life story is intertwined with that of his archipelago nation. Sir James R. Mancham, founding president of the Seychelles, was educated in both Seychelles and England and attended law faculty at the University of Paris. A Knight of the British Empire (KBE), Sir James is also an Officer de la Legion d'Honneur of France. He has been awarded the Medal of the City of Pusan in the Republic of Korea and the Quaid-i Azam of Pakistan.